"It's not legal for us to sell here," a bubble seller at the Cilacap alun alun (town square) admitted. "But the police haven't been through for two months." He has a rack of coloured bubble liquid in plastic cups and a shocking pink multi-blower sending fragile spheres high above the dusk-time picnickers. 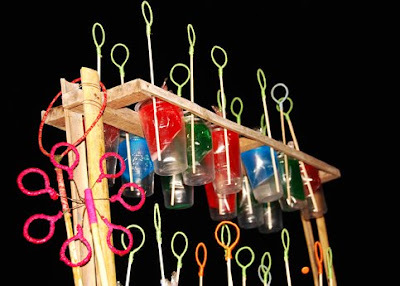 The alun alun is rather spectacular at night with glow-in-the-dark toys flashing through the darkness. Families come to promenade and eat together, and the air is spiced with sizzling snacks in woks from the numerous roadside gerobak (pushcarts) parked along the perimetre. 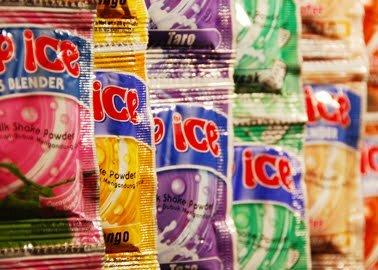 "Pop Ice sachets are hot at the moment," said Purwanto, owner of one of the refreshments gerobak painted gooseberry green. "My relatives are carpenters and they built this gerobak for me. It used to be blue, but I think green is easier on the eye," he reminisced. "I work at the alun alun from 4pm-11pm and always park in the same spot. There's an informal agreement between us gerobak sellers and we respect each other's turf. A new gerobak can join the square, but he must find his own space, and cannot sell competing items with his immediate neighbours." Purwanto and his wife Nita, above, also sell homemade iced tea, sweets, sachets of coffee, mobile phone vouchers and cigarettes. "I make Rp100,000 ($10.00) on a quiet night, nothing when it rains, and up to Rp400,000 on the nights when, alhamdulillah, local cigarette manufacturers Djarum and Gudang Garam hold promotional events. Then the whole town comes out." Clipping a trot around the town square is Panzer, once a formidable goat. 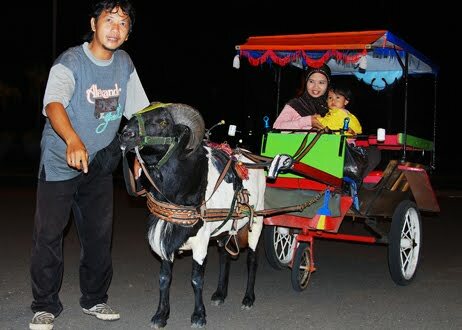 "There're only two goat-drawn carriages in town and I've got one of them," boasted Waluyo. "He's three years and eight months old, likes carrots, and I tamed him myself." 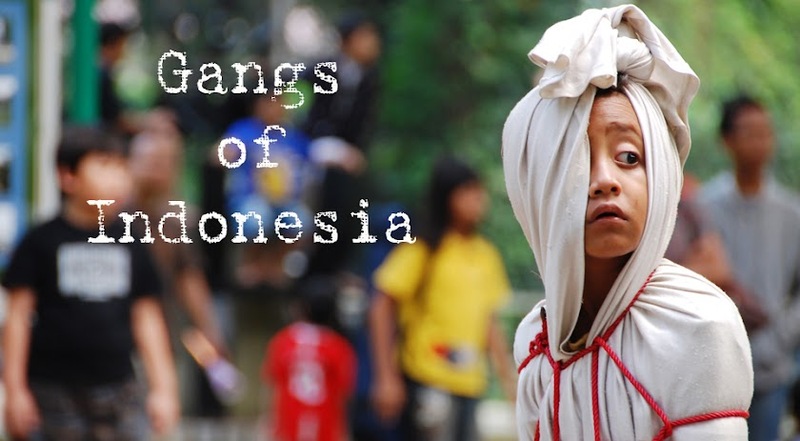 Following your blog should be mandatory for all expats in Jakarta. Now I have to run out and buy your "Jakarta: 25 Excursions in and around the Indonesian capital". Hans, I completely agree! Thank you for your very kind comment. I hope you enjoy the book!